Here are a few foods that will help you say goodbye to dandruff. According to naturopaths, one should also avoid eating fried foods, fatty food items, and chocolates, as they all add to the dryness of the scalp resulting in the generation of dandruff. Here, we have tried to list these natural superfoods and related home remedies that are effective in curbing dandruff and hair fall. 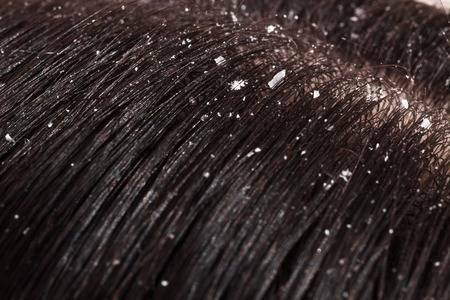 Some people may have dandruff due to improper digestion. Ginger solves your dandruff problem by improving digestion. Moreover, it also keeps dandruff away due to its antibacterial and antifungal properties. Garlic has a high concentration of allicin, which is a natural antifungal compound that helps in controlling dandruff. Regular consumption of garlic in food or applying it directly on the scalp can help reduce dandruff. All you need to do is to crush 3-4 garlic pods and apply on the scalp, allow resting for 15 minutes and then rinse. As a storehouse of zinc and vitamin B6, wheat germ is an excellent food to control dandruff and hair fall during the winter season. You can use it in the milkshake or salad. Sunflower seeds control sebum production causing dandruff. They also improve digestion and boost metabolism that nourishes the scalp skin and controls hair fall too. It has vitamins B6, A, C, E and minerals such as zinc, potassium, and iron that help to treat dandruff. Also, it is loaded with amino acids and antioxidants that when applied with yogurt on scalp reduce the chances of dandruff. Make sure that you allow the mixture to rest for 20 minutes on the scalp. We all know that an apple a day keeps the doctor away, but you will be surprised to know that it also keeps dandruff away! According to naturopaths, apple juice is very effective against dandruff. All you need to do is to massage your scalp gently for 15 - 20 minutes and then rinse with a shampoo. The presence of essential nutrients like-vitamin B6 (pyridoxine) and zinc, in Chickpeas, helps control dandruff. Make a thick paste of chickpea flour, curd, and water; apply it on your scalp and rinse after 15 - 20 minutes.